RascalTutor is an interactive learning environment to learn and practice Rascal-related concepts. It is a work in progress, currently most information is organized as a browsable manual. Recipes: step-by-step solutions to common tasks. Errors: explanations and suggestions for correction. SolutionStrategies: How to arrive at a problem solution. Rascal Compared With Other Paradigms. Rascalopedia: Terms and Concepts for MetaProgrammers. Tutor: Writing Courses using the RascalTutor. 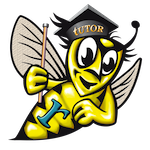 Testing the Tutor (internal use only).